Know: How I Double My Blog Traffic Using Reddit? Don’t know How to Drive Traffic From Reddit? How many of you are agree with me that traffic is the main factor behind the successful blogs/websites? I think all. I know the Content is king. But if you don’t have enough traffic to read your content then the quality content will be wasted. We all always promote our Blog Post as much as we can and it’s really good. A very interesting thing happened to me yesterday. Yesterday, I checked my analytics to know how much page views I am getting today, that was same as others day, but I shocked when I see my analytics again in the yesterday’s evening. I see my traffic double compare than the morning. So I go to Acquisition>All Traffic to know from where I am getting the most traffic. I came to know that all my traffic are coming from Social then I want to know which sites are giving me traffic so I go Acquisition>Social. Ohh, I am getting traffic from Reddit, I used Reddit to submit links and I also helped some people by the comment in the afternoon that’s why I am getting this traffic. That time I have gone mad and started dance. That was very exciting for me because I worked hard to get traffic from Reddit and it is giving me back. This is the incident which makes me realize the power of Reddit. Before this, I don’t know how to use Reddit? To understand Reddit more, I read Posts and watched videos. Many beginners don’t know about Reddit and how to use Reddit to drive traffic? Even I had no idea about that when I started my blog. So in this post, I will make Reddit the source of driving high traffic to your site also. So let start with the beginning, if you know already then you can skip this part and move to next section. This is especially for the beginners. Reddit is an another and best Question and Answer website like Quora and one of the top visited website in the world. 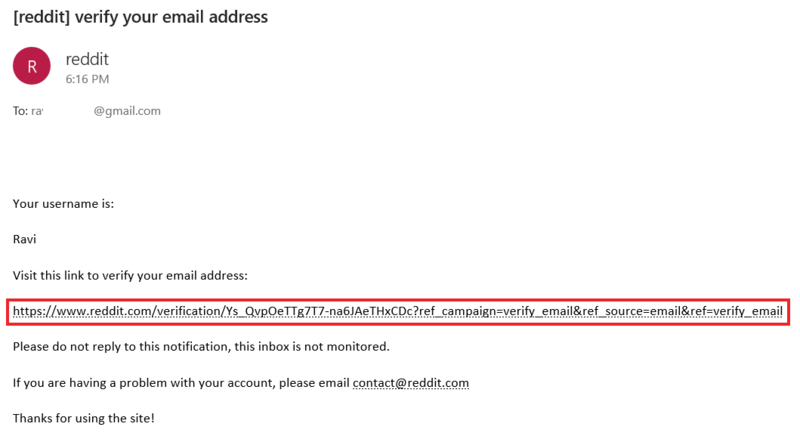 Reddit allows its registered users to submit their content like text posts, links, images and videos. It is also known as the Front page of the Internet, you can imagine how important Reddit is? That’s why it is known as the Front page of the internet. Reddit is the one of top visited sites in the world,Reddit has about 51 million unique users and over 1 million communities. There are some common words which you should know before using Reddit. SubReddits: SubReddits are the section of the topics to sort the interest of the community members. Like if you want to learn and post about Blogging so you need to go r/Blogging subreddit. Here you can post all about blogging. Karma: Karma is the point which you get when someone upvotes your comment/post/link. And you will lose Karma if someone downvote. There are two types of the Karma Comment Karma(When someone upvotes your comments) and Link Karma( When someone upvotes your link submissions). Upvote/Downvote: If you make a post or comment on Reddit and people like that, if they upvote you comment/post then you get point and as same if they downvote then your point will decrease. Default SubReddits: There are some SubReddits which show unregistered users on the Homepage. SideBar: I am sure you aware of the WordPress sidebar it is just like that. This is the sidebar of Reddit which contain information, different for every subreddits, rules, FAQs, Moderator and suggest Subreddits. AMA: AMA means Ask Me Anything, this is the thread of a topic to answer the questions of the others in the community. Like if you are expert in SEO then you can host an SEO AMA to help others to solve their questions. Now I think you got much knowledge about the Reddit, so it is the time to know how I double my blog traffic using Reddit? and can also. The first thing you need to create an Account on Reddit. To Create an account on Reddit go to Reddit.com. Click on the signup link which you can see at the top right corner. Then a pop up will appear on the screen which is asking you to enter your email address to signup. Enter your email and click on the Next button below. Now Reddit is asking you to subscribe at least subreddits according to interest. and click Next to move on. This is the last step, here you need to enter a username and the password to complete your signup. Make sure to enter these details carefully because you need it to login you account. then Hit the final click on the Submit button. Now It’s finally done. Now you are a Redditor. If you are thinking that you became a Redditor and now you can post links to promote your blog/website to get huge traffic then you are wrong? Are you thinking why I am saying this? Because You became Redditor but you don’t have permission to post links on Reddit. In simple words, You need to wait for some more time to post submission. Your account should at least 1-month-old to submit links. You can check you Redditor Age by going to your profile. I recommend you to download Reddit Official Android app on your android phone to use Reddit more easily and it will also help you to update new posts in your subscribed SubReddits. So What You do in the First month if you cannot submit posts/links? You can comment on other posts and you can also upvote and downvote. Don’t think that you can not earn Karma without posting, I have discussed above that you can also earn karmas when someone upvotes your comments that will be comment karma. Follow others people in your niche that will also you to find useful information. you can also follow by clicking the link. Here are some tips for you which will help you to drive massive traffic to your blog or website. And trying to post on these not relevant subreddits, Is it making any sense? If you will do this type of mistake then Reddit will definitely be going to punish you. The moderators will remove your submission with a comment. More Kamra you earn that means you are building your reputation. Make comment and submit post/links to earn karma. I usually comment on the r/askreddit subreddits. This subreddit has 18,360,299 subscribers which a large number so the changes is high there to earn karma. As we know, Reddit has about 51 million unique users and over 1 million communities. Reddit is the front page of the Internet, and it is the one of the tops visited websites in the world and mostly traffic come from the US. Advertisement on reddit can drive huge traffic to your blog. If you think that you have excellent knowledge in any particular topic then I am highly recommending to conduct an AMA in the relevant subreddit. This will build your reputation and drive traffic as well. Even by AMA, you can earn Karma. It happens many times that you post something and people like that and give you upvotes which is good. but maybe people not like which you submitted and they are downvoting your submission. So you should delete it to save you karma to lose. Reddit allows you to promote your blog post and other content as well. For promotion purpose, Reddit has some subreddits where you can post your links to promote. That SubReddits are r/promote and r/shamelessplug. Reddit is not against of posting links for promotion, but you need to take care of the rules of subreddit. Every subreddit has different rules and guidelines which you can find on the page. make sure to read it before submissions if you violate any of their rules then your submission will definitely be removed. Many beginners think that Reddit is the very tough website to use and understand even I was thinking some time ago and they quit it. If you are one of them then you are missing a lot of traffic which is your own with some smart work. When was I visited Reddit first time that time I got confused how to use it? And why people are saying that Reddit is the best way to get traffic? That time, I didn’t think so. But after reading and watching videos on Reddit, Now I am using Reddit to drive traffic to my blog and the best thing is Reddit is on the top of driving traffic to my blog. Make a goal to never give, you will reach whatever you want to. I hope this post help you so don’t forget to share it with your friends to help them too. And if you have any query yet then feel free to leave a comment below. And Also Stumble this post. Want more posts like this so subscribe our newsletter and we will notify you whenever we publish a post. nice article keep on blogging…. Nice article for beginner, I also want to increase traffic of my website i hope this is helpful for increase traffic. You should try it, definitely work for you also. It was really helpful, as I’m a beginner it helped me a lot, I was searching a way to get traffic to my website and your article really helped. Kudos. Good to see that post helped you, Reddit is the best way to increase traffic to any website. Subscribe our Newsletter for new articles. Thanks For Contributing to the Comments, Keep Visiting. Nice Post. Thanks for sharing such a nice & helpful blog.